Held at the premises of GEFCO in Coventry, the event covered the latest developments in leasing company remarketing. VRA members together are involved in handling, selling, inspecting, transporting or managing more than 1.5 million used vehicles every year. Sam Watkins, chair at the VRA, said: “There has been growing momentum behind the VRA for some time now with increased membership and a higher profile for the organisation. “We also see this very much as a sign of the current, increased interest in remarketing generally from right across all different sectors of the motor industry. “At a point in time when maximising value from existing assets is crucial against a backdrop of ongoing economic uncertainty, there is very much a renewed focus on remarketing. Key presentations at the meeting included Dean Bowkett of Bowkett Consulting on high level developments in the leasing sector, Paul Harrison of Leasing.com on issues affecting online business and personal leasing, Nigel Dann of vehicle credit management specialist Anglia UK on changing attitudes towards vehicle termination, collection and damage, and Derren Martin of CAP HPI on the latest developments in the new and used car market. Sam said that the VRA had worked hard on the quality of the information presented at member meetings to ensure that they were genuinely useful to remarketing professionals. 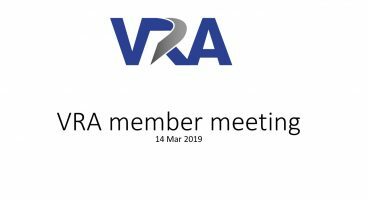 She added that the VRA had created a complete programme of member meetings for this year that was designed to keep members well-informed about a wide range of crucial industry topics.